The Arizona Town Hall, in partnership with Maricopa Community Colleges and others, hosted our fall Future Leaders Town Hall "Financing Arizona's Future" on Wednesday, October 5, 2016. A summary of the discussions taken place at the October 5th Future Leaders Town Hall was carried forward for consideration at the 109th Arizona Town Hall, held in Mesa on November 13-16, 2016. This event was attended by over 100 leaders and policy makers from across the state. 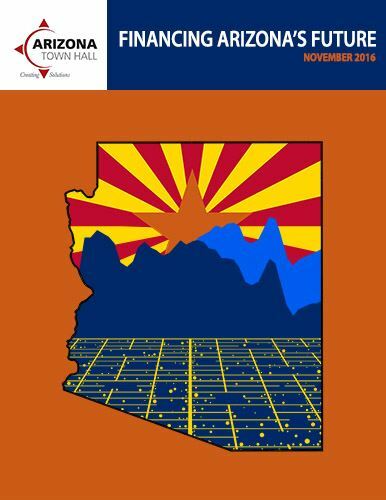 Click here to see the "Financing Arizona's Future" facts sheet. Click here to read the Key Points from the "Financing Arizona's Future" Future Leaders Town Hall.